Lot of people choose magic in the desire that it can assist them achieve all their hopes and dreams of love and lust! 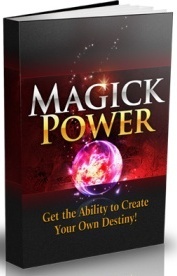 You want to give your love spells and rituals every feasible chance of coming true and manifesting all that can be. To do this, it’s necessary … in truth, it’s critical that you’re performing them under the right environment. Learning how to cast a circle is important for many reasons. Not the least as the circle contains the very energy that is generated by performing the ritual. Quite possibly even more important though is this simple fact. That casting a circle also guards you from undesirable energies and influences that might decide to invade your ritual! Numerous practitioners of witchcraft and magick fail to protect themselves against these negative influences. This is despite being such a crucial part as well as something that is very easy to do! There are various differing ways to cast a circle and there is no faultless or perfect way of undertaking it. You can discuss it with your peers, research it online and in books. Or simply just take joy in experimenting with it until you uncover something that feels just right for you. For beginners, the easiest way to get started on how to cast a circle is to use the example below. Learn it, master it and then craft it your own way through to your personal circle casting ritual. Assuming that you are serious about your spells and rituals it is recommended that you have an altar to perform them on and around. It is important to properly prepare your alter before each ritual. Step 1: Draw a deep breath and close your eyes. In a loud voice filled with passion and conviction call out “The time has come and I am now ready!”. Identify the four directions North, South, East and West and request their energy to demonstrate and support your aspirations. Hold up your Athame (ritual knife) high above your head. Then, while turning in a circle to each direction point and say. “I call in the east, I call in the South, I call in the West, I call in the North.”. The power of your Athame will take down the energy and thereby create a magical circle. Now put down the Athame and using a piece of chalk, draw a pentagram on the altar. You then seal the energy in by placing a candle over it. Step 2: This time around with your eyes open and once more using that same passionate voice, recite the following mantra four times: “I cast this magical circle for creating my wishes, draw to me only those energies that employ love and light. All other energy be gone, so mote it be!”. While you are reciting this passage, visualize yourself and your altar being almost entirely surrounded and protected by a blanket of white light. Once you are finished with your ritual it is also important to close the circle with appreciation and thanks. Again while visualizing white light closing in and around your sacred space simply say “Thank you and blessed be.”. So now you know how to cast a circle! Enjoy the experiences and always remember that whenever you perform a spell or ritual you should really cast a circle and close it when you are done. Do this even if not stated in your ritual. Need some spells to cast? Check out these amazing spells from our good friends at All Magic Spells!